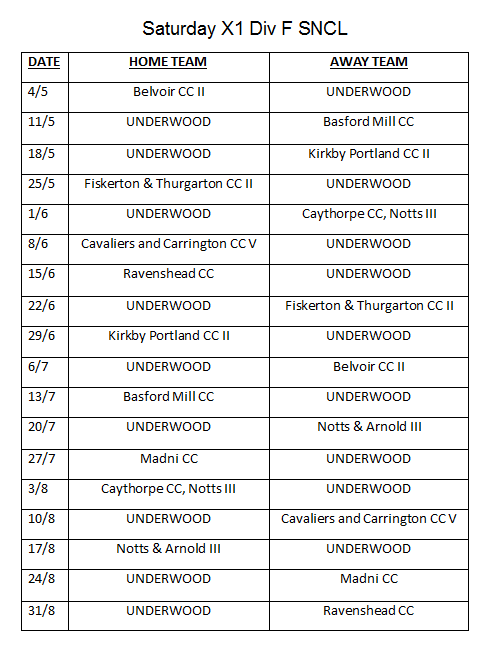 Saturday XI fixtures for 2019 - Division F SNCL For results & stats please click on the Play-Cricket link below. Please see an important message about helmet safety HERE. For results & stats please click on the Play-Cricket link below. Our cricket club is situated at Church Lane, Underwood, NG16 5FS. Click HERE for the map and directions.